Supernovas, neutron stars, stellar clusters: The center of our galaxy has it all. 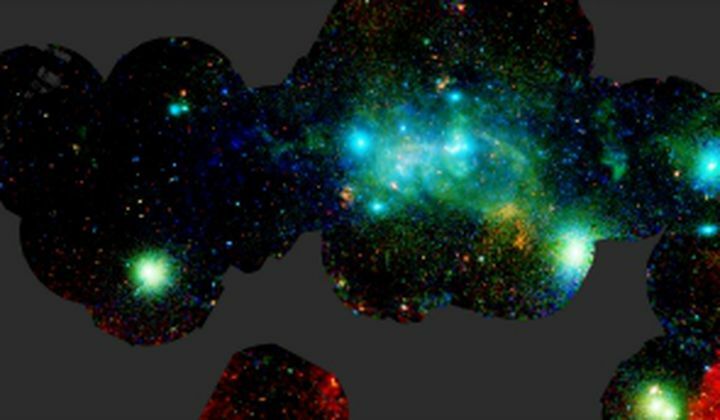 In this new image, right, the European XMM-Newton X-ray observatory revealed the chaos at the heart of the Milky Way. Sagittarius A* is a supermassive black hole on the far left; the immense gravitational pull on nearby matter causes it to emit X-rays, lighting up the space around the event horizon.